This might be the most important motorcycle event in Canada this year. CEO, Motorcycle Industry Association of the UK. Mr. Campbell joined the MCIA Board back in 2005. He was Managing Director of Piaggio UK and has a great understanding of the Motorcycle Framework project, having been there from the start. The Euro 4 motorcycle emissions standards have been in place for two years now. New engine designs are more efficient that ever. There is still some life in gasoline. 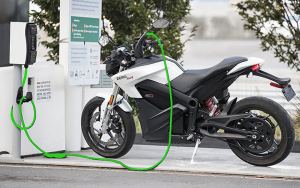 An exciting new part of the next technical wave is electric motorcycles. You only have to ride one to see the potential. Plug-in BC headlines this session with the latest news on charging infrastructure changes and the provincial purchase incentive program. This tasty lunch session wraps up with a hands-on look at some very special new electric models. Green transportation planners, modal shift advocates, and transportation experts will find this session particularly entertaining. Change agents for powered two-wheelers.